The Association of Nigeria Electricity Distributors (ANED) has asked President Muhammadu Buhari to critically examine the problem of the power sector and solve it without playing politics or to the gallery. ANED which is the umbrella body of electricity distribution companies (DisCos), said as the President had promised to make corrections in his second term of four years, the power should be a top priority area the President should focus on. The ANED Director of Research and Advocacy, Sunny Oduntan, who was responding to myriads of issues in the Nigeria Electricity Industry, listed parts of the problems including: politicisation, under funding, energy theft, suppressed tariff, huge losses, metering and estimated billings, among others. According to him, “Part of the Corrections that the President need to make is to sit down and look at the power sector, basically without politics, without playing to the gallery, without decieving us and look at the issues as they are. This is even as the DisCos had washed its hands off in providing meters to the electricity consumers, citing that the responsibility of providing meters is now in the hands of Metering Access Providers (MAP), a creation of the Federal government through the Nigerian Electricity Regulatory Commission (NERC). However, it contended that the implication is for consumers to be ready to pay estimated bills for electricity supplied where there are no meters or be ready to go without light untill the meters are provided. 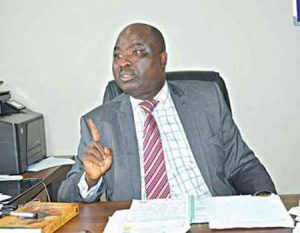 Oduntan said: “The metering now has been taken off the DisCos primary responsibility and that is why the Federal government came through Nigeria Electricity Regulatory Commission (NERC) up with the Metering Access Providers (MAP). Essentially, the MAP are now in charge of providing meters and not the DisCos. We are participants, we are playing the role we are supposed to play as DisCos but we are not the ones that is going to be providing you Nigerians with meters going forward. People need to understand that. “The current problem in Nigeria Electricity industry is the problem of Naira and kobo. Don’t reduce it to DisCo affair whether you are DisCo, GenCo, TCN, NBET or NERC, you’re funded from the money generated from those who pay for the electricity. “For there to be light in this country, certain things must be in place: We must all agree that the federal government has a big role to play on that; We must agree on how much is the landing cost of electricity unit and cost of production. “The tariff we have today is a suppressed tariff. In every tariff computation, there is allowance of capital expenditure in it and you cannot spend over or outside of it. All the DisCos have a total of N45 Billion capital expenditures annually (N5.5 billion each). “The capital expenditures of DisCos include poles, cables, transformers, meters, injection substation, vehicles etc. If you think of it, what can N5.5 billion be able to provide? And that explains why some communities come together to contribute money to buy poles, to repair their transformers. “TCN has maximum capital expenditure of N50 billion per annum. So if you as TCN has 10 times more capital expenditure and I only have one tenth as DisCo to spend on infrasture, then who are you to come and tell me that I’m not investing enough? The ANED Director of Research and Advocacy recalled that before privatisation, there were backlog of millions of households without meter, citing however that in the performance agreement, “there were a number of meters we are expected to provide within five years and within the five years, we have done more than 88 percent of what we were required to do. The association condemned the prevailing attacks, assualts of DisCos staff; vandalisation and destruction of electricity distribution infrastructure by aggrieved customers in various parts of the country. Citing the cases of Ilesha under Ibadan DisCo, Lagos under Eko DisCo, he advised aggrieved customers to seek alternative means of settling disputes and resolving issues without resorting to violence.